Whether you’re going into High School, College, University or Post-Grad, Pastor Al gives some important reminders to students returning to school this semester. 2. Remember why you’re there. 3. Find a good church. 4. Keep your devos going. 5. Try to find balance. This entry was posted in Carnivore Theology and tagged Advice, Balance, Bible, church, College, Devotional, God, High School, Jesus, Meaning of Life, Podcast, Prayer, Reputation, School, spirituality, Students, Teachers, theology, University. I like learning and teaching theology. 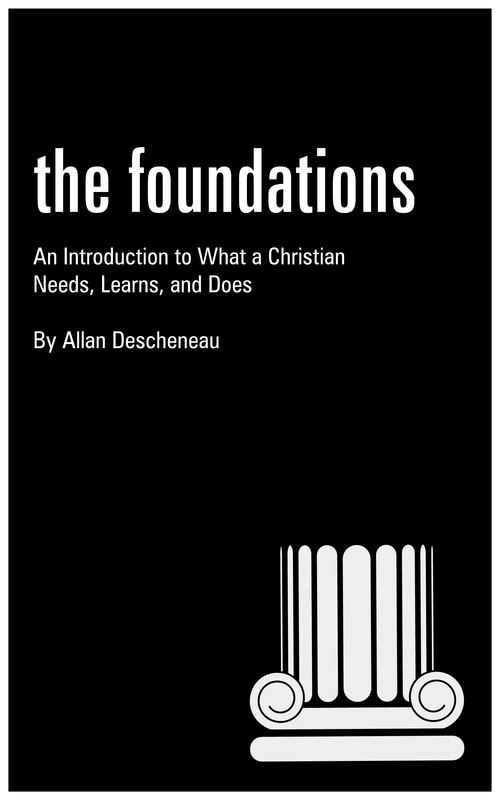 I have thoroughly enjoyed preaching this Foundations series because it has been full of deep, biblical, gospel truths – the very bedrock of what we should build our lives on. I love being able to help people know God better by answering questions about God through scripture. In my own personal studies there is no greater joy for me than discovering another piece of understanding about the nature of God. 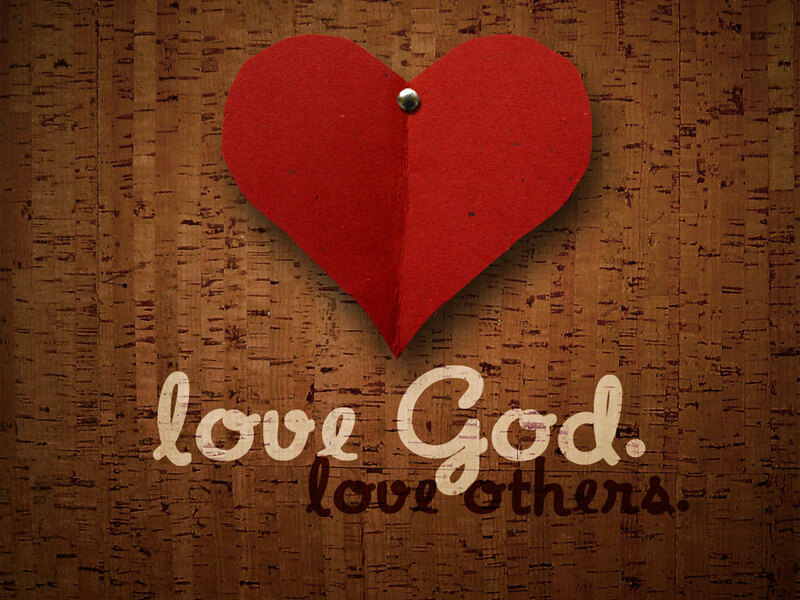 But there is one thing about the nature of God that I continuously forget – God is love. Maybe you don’t have this problem, but I do. I think more about God’s other attributes like His unchanging immutability, His power, His omniscience, His graciousness, His wrath – more than I do His love. It is the difficulty I have always had with taking my faith and helping it make that 12 inch journey from my head to my heart. I’m not sure why this is a problem for me, because the love of God is overwhelming in scripture (and in my life for that matter). Three times in one chapter (1 John 4) it says that “God is love”. I don’t want to get into a theological discussion about the love of God, but I do want to use this as a jumping off point to our topic today. The whole point of 1 John 4 is to remind us that God is love, and that His love empowers our love. Thanks to Joslynn for this great pic! This must be our first and most essential thought. I/We must remember that all of the characteristics of the Christian life – faith, hope, mission, purpose, joy, worship, forgiveness, peacemaking, communion, baptism, — none of them mean anything unless they are motivated by the love of God for me and are then lived out in loving actions towards those around me. I can understand discipleship, walking behind and learning from my Master, but if I am not doing the things He is doing, my learning means nothing. I can recite the True Gospel word for word, share scriptures until the cows come home, but if those verses don’t take root in my heart and give me daily hope, a stronger connection to Jesus, and are shared with others in a way that shows the love of God, they are powerless. I can revel in the mastery and simplicity of the Five Solas: Scripture Alone, Grace Alone, Faith Alone, Christ Alone and the Glory of God Alone – and believe them with all my heart, but if those truths do not spill out of my heart and mouth to others, if I am not becoming more gracious to others, if I am not stirring up another’s faith, if I am not pointing others to Christ, if I’m not in a community of believers, worshipping God with others – all of that knowledge is pointless. I’m reminded about the context of those verses. They are written by the Apostle Paul after he spends time teaching us about the power of the Holy Spirit lived out in our spiritual gifts and the importance of recognizing our need of others, and their need for us, in the body of Christ. “And now I will show you the most excellent way.” (12:31). That is a very meaningful, challenging verse to me. The act of loving others is more excellent than desiring, having and using our spiritual gifts! Being loving is more excellent than speaking in tongues, prophesying, teaching the scriptures, administrating our resources, and even miraculous healing. Witnessing an act of love is more excellent than anything else we could see in our lives. We all desire God’s blessing and when we ask “What can we do to become a church (or a family, a person, a workplace) that God blesses?” the answer isn’t all that complicated. It isn’t having better pews to sit in, more contemporary music, great preaching, changing our leadership style, getting into our community [whatever that means], doing more missions, engaging the youth, or anything else that we can do. It doesn’t mean traveling the world, buying cooler stuff, finding our perfect job, or worrying about every moment being perfect. The answer is simply that we must desire the “most excellent way” of living. The answer scripture gives to “what must I do to be blessed?” is to of love God and each other more, better, spontaneously, sacrificially, and consistently. When we do that, we will live a blessed life. This questioning scribe was closer than the others to understanding the Kingdom of God because he understood that God’s highest priority is love, not the actions of religion. He wasn’t quite there because he didn’t understand that Jesus was the beloved Son of God who had come to suffer for sins on his behalf, but he was a lot closer than the others because he understood something fundamental about God and about His Heart for the Kingdom – Love comes first. But what is Love? What I believe the thing that most people don’t understand about love is that it is not primarily an emotion – it is primarily a decision, and secondarily an action. It becomes an emotion only after a person has decided to love and then acted on that love. Think of Romans 5:8, “…but God shows his love for us in that while we were still sinners, Christ died for us.” He made the choice to love us, acted on that decision and made a way for us to be saved. He didn’t do this primarily out of an emotional connection to us, but because love requires action. Ephesians 2:4-5 says, “But God, being rich in mercy, because of the great love with which he loved us, even when we were dead in our trespasses, made us alive together with Christ…” Despite our condition of being dead in our sins, and as he just called us in verse 3, people who deserved His “wrath”, God chose to show us love. That is the decision which we all need to make, and which I wish to compel you towards today. Decide today that you will be a loving person. Don’t wait until you feel like it, make the decision to do it. Commit in your heart to God, and ask for His help, to make the choices a loving person would make. God doesn’t leave wiggle room in scripture for anything else to be our highest priority. We can’t do that until we have made the decision to do so. Loving our enemies is not something we are going to do naturally, nor is it something that we are going to feel – it is a decision, a choice, that we have to make well before we are faced with an enemy to show love to. If we are primarily living with the understanding that love is an emotion, then we will never be able to obey the scriptures and be people who are characterized by love. We will be far too easily swept around by things like how we feel, how the other person feels, whether we are sick or well, happy or sad, in plenty or in want… all of those things will factor into whether or not we will love someone at that time. But, if we have made the decision to love, and intend to live by the rule of love, then it will be far easier to be consistent in loving others. I get this. If you’re going to be honest, it’s pretty hard to say that you are going to be in emotional love with someone for the next ten, twenty, fifty years. It would be exhausting to try to feel loving towards another person 24/7 until the day one of you died. All it takes is one good argument, or a passing thought about another person and boom! the feelings begin to falter. So you have to leave some room just in case you or the other person doesn’t just feel it anymore. 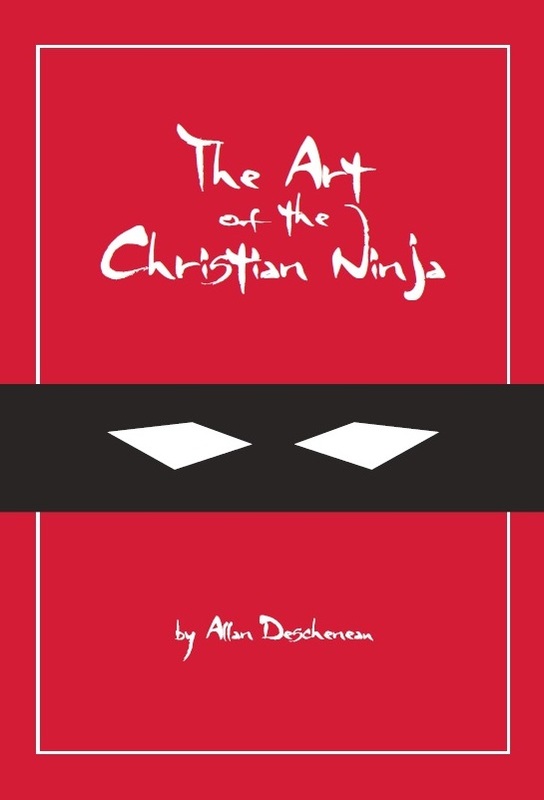 There is a famous story by an ancient Christian writer named Tertullian who told of a time when the Roman government was worried about what was going on among this group of people who called themselves Christians. They were increasing in number, but they wouldn’t say that Caesar was Lord. All they had to do was put a pinch of incense before the alter of the emperor, but they wouldn’t do it. This worried the Romans who thought they might be disloyal. So they sent a spy to gather information about what the Christians did at their meetings and when the report came back it confused the pagan leaders even more. I realize that I’m not saying anything earth-shattering here. I also realize that as simple as this is, it’s also the hardest thing in the world to do right. While processing this idea I went through my bookshelf looking for books that talked about the importance of loving one another… and that was every book I have. I opened a theology book and discovered the central theme of God’s love throughout scripture and how important it is to study about God’s love. I looked at books about how to live wisely and it showed me how critical it is to live with love as a priority first, and all else will follow. I read a book about how to hear God’s voice and was told about how God speaks through serving others and listening to other believers, so if you want to hear God’s voice get close to them. I looked at the authors who teach about how to organize and grow a church and it was there too – don’t worry as much about methodology as you do about teaching, experiencing and sharing God’s love. When we ask, “How can I become a more mature disciple of Jesus?” the answer is that we need to learn how to love God in their heart, and then act out that love towards others with our hands and words. When we ask, “How can I get more out of worship?” the answer is that we need to focus on singing, sharing, and speaking about the love of God, and then allowing that love to effect us in such a way that we not only believe it, but feel it also. When we ask, “How can I do outreach to my family, friends and community?” the answer is that we live out the love of God in a way that is obvious to everyone around us. When we ask, “How can I have meaningful relationships with people?” the answer is that we need to make the choice, the decision, to step out of our routine, our comfort zone, and get ourselves into a place where we can be loved and show love. Ok, so it’s practical application time. Let’s close out by looking at a two ways that we can do this. 1. Make the Family of Believers a High Priority in Your Life. So, if you are given the choice between attending church and going somewhere else, prioritize attending church. If you are given the choice to bless a non-believer or a believer, bless the believer. If you have something and want to give it away, ask other Christians first. If you want to talk, or find a partner, or do something with another person, find another Christian. The lower down your brothers and sisters get on your priority list, the further you will find yourself from God, the more easily you will fall into temptation, the greater the chance is you will adopt false teaching, and the less love you will experience in your life. 2. Go Be Where You Can Love and Be Loved. A lot of Christians, in my experience, live like chopped-off fingers and toes. They desire to be useful, feel they are made with a purpose, know deep in their being that God is calling them towards something greater, but they aren’t able to pick up any traction when they try to figure out what that is. And I believe that’s because they are trying to do it on their own, outside of the church, away from other believers. Perhaps you have been burned by people, let down by them, hurt by something people did to you. That pain has caused you to erect a wall around yourself which you use to protect yourself from greater hurts. You’ve worked hard to make that wall look good. You’ve painted it up, put a smile on it, and when you are around others, it’s like there’s not even a wall there at all. They see the façade, but they never get to see the real you. Consequently you keep God at a distance, because you know that if there’s one thing that He want to do, it’s get into your business, know the real you, get emotional with you, and mess around with your innards. You also keep the church at a distance because you are afraid that if you let down your defences you’ll be let down or even hurt again. And so you live a bi-polar life where part of you is committed to Jesus and He is calling to you a greater relationship with Him – but you are trying to do it away from the church. It won’t work. How do you get over that? What you must do is to put yourself into a place where you can be loved. Your natural tendency will be to only go when you feel like it, but as I said before, love is a choice, so you must make the decision to go places where you can love and be loved. I’m not saying you have to go and pour out your guts to the first person you see, but you must begin by making the commitment to consistently be around believers, where they can love you and where you can love them back. Satan wants you alone. God said, “It is not good for man to be alone.” Satan wants you to himself, Jesus wants you with Him and around other believers. Just go. When the church is open, be there. Invite believers into your home and invite yourself over to other believer’s homes when you can. Join Christian book clubs. As a Christian leader to introduce you to someone. Join Christian chat groups online. Just be around other believers. This is one of the lessons Jesus has taught me over the years – the blessing that can come just by sucking it up and showing up even when you don’t want to. It is in the church where you will be identified as a genuine believer and where you will be able to express your membership as one of the Body of Christ. It is your church family who will keep you from becoming self-centred and isolated. It is your church family who will help you develop spiritual muscle. It is in the church where you will find that you have purpose and meaning, and where you are needed. It is through the church that you will share in Christ’s mission in the world. And it is the church family that will keep you from back-sliding. This entry was posted in Fellowship, Sermon and tagged God, God's love, Jesus, Love, spirituality. I have a question for you. How well do you know your pastor – really? What comes to mind when you think of your pastor? Some people treat us like we are another species – rare and peculiar, unlike anything else in the world – and that creates some unique challenges. This article was first published in 2009 by Promise Keeper’s SEVEN Magazine, but I wanted to bring it out of retirement and share it again — not because of anything that’s happening in my church right now, but because someone found an old copy and said they enjoyed it. I originally wrote this article based on some things that had been happening in my own life, observing some pastor friends of mine, and having conversations with ministers throughout the US and Canada. There is no bitterness or anger in this article, so don’t read it that way — just observations and insight into the inner life of some pastors. My hope is that this list will make you laugh, open your eyes, and help you love your pastor more and better. Right off the bat I want you to know that I’m a dude, so stop treating me like a chick. I’m so sick of guys apologizing to me when they cuss, as though I might burst into tears or faint. Trust me, I’ve heard those words before…and yes, even used them. And you know what? I like guy stuff too! I don’t spend all my time sitting in my office, cross-legged, drinking tea with a Bible on my lap. I like cars, motorbikes, monster trucks, fishing, shooting, movies where things blow up and even the occasional malted beverage. Yes, I’ve worked hard to develop emotional sensitivity, but it has been just that – work. By the way, I struggle with the same guy-issues most men do. So, if half the reason you’re not talking to me is because you think we have nothing in common—you’re wrong. Now, there’s something I’m not supposed to tell you!. A big part of me wants to keep up the image that I’ve got it all together, have a 10-year plan, and every step I make is guided by God – but that’s just not true. I say dumb things, do foolish things and sometimes I’m so confused by my job that I don’t want to do anything because I’m scared I’ll make everything worse. When I stood up and boldly proclaimed that new ministry idea, half of me thought it was a great, godly plan and the other half was certain it would blow up in my face. That’s why I need you and your family with me. I need courageous, godly men and women to stand with me – even if that means making me defend myself. I also need you to stand beside me when I inevitably throw the fertilizer into the ventilator and it all comes flying back at us. It’s true. There are days when I just don’t want to read the Bible, pray, meditate or do anything spiritual at all. I’d rather play Angry Birds, read a book, watch TV, go for a walk, check my e-mail, get ready for a meeting, or have a nap. You’re not alone in your struggle to stay consistent in your daily Bible reading and prayer life. I’m right there with you. I just thought you should know that. Pray for me just as I’m praying for you. I know some of you fantasize about being pastors because you think it’s such an easy job. Buddy, you have no idea. I may not have much heavy lifting to do, but things do get pretty heavy sometimes. I have a deep love and passion for this church and this city and spend more hours thinking, praying, serving and weeping over them than I can remember. I have a heart for seeing people come to Jesus, but it always feels like our ministries are going uphill with a headwind. There are so many things I want to see done, but I can’t seem to get people to come with me to do them. There are days I feel like Sisyphus, perpetually rolling his stone uphill only to watch it roll back down again. And listen, You might be moved or convicted by one sermon every three months, but I am trying to let every one of them penetrate my heart, every week. On top of that, I have people call me out of the blue with every problem under the sun. They need money, a friend, a job, a place to live, protection from an abuser, freedom from an addiction or an answer from God (they think I can get it for them)— the chain of hurt never ends. And despite my efforts and prayers, I watch marriages and families break up right in front of me—and can’t do anything about it. There are days that I want to do something else—anything else—because being a pastor hurts so much. Some days the only thing that keeps me in this job is remembering that I didn’t choose it: I was chosen for it. I have the only job I know of where, even if you are doing your job right, if people don’t like you they can vote you out. Imagine walking around feeling that not only is everyone in the community and congregation watching you, but as James 3:1 says, God is going to judge you more strictly than most people. That’s a tough row to hoe. I’m not insecure about my salvation, or God’s love for me, but I get a lot of feedback and it gets to me sometimes. You know when you sent me that email “just to point out a few things”? Well, I got 10 of those and four phone calls—on my day off. Listen, I love you. I really do! I want to talk to you, hear about your life, your worries, cares, concerns and what God is doing to and through you, your family, your friends and even your pet Chihuahua. I carry a cell phone and publish my home number and e-mail in the directory so you can get a hold of me anytime. I have office hours at church and make myself available for meetings in the evenings. I promise that I will be thrilled to chat about anything that is on your mind during any of the other 164 hours in the week. But PLEASE, for the love of Pete, let me have that little bit of time before service without hearing a bunch of problems, conflicts and issues that I can’t possibly fix before service starts. What do I want? Pray for me. Give me a pat on the shoulder say, “Love you, Pastor!” or throw out a hearty “Go get-em!” Ask me if there is anything you can do to help (or better yet, find some way to help without asking), or just give me a smile. Like an athlete before a big game, I’m trying to get in the zone and there is a lot of spiritual opposition working against me, and I need your help. Believe it or not, I don’t have a lot of friends. Sure, I talk to a lot of people, and care for them, and go to a lot of events and even have fun. But when it comes to having a real, tried-and-true, say-anything-to friend, I don’t have one. And if I’m like most pastors, then I probably don’t have any extended family around either because I moved away from them. Sure, I get along with people, but most folks don’t understand what I do or the struggles I’m going through. On top of that, if I get vulnerable with the wrong person, they could use it against me. Trust me, it’s happened before. So, I guard myself, my ministry, my family, and yes, even you, from the fallout that can happen if I get double-crossed by someone who I thought was my friend. And the cost is that sometimes I feel very lonely. I hope this helps you love your pastor more and better. Your pastor is probably not the exception, even though he might hide it well. Pray for him. Take care of him. Cut him some slack and help him out. Being a pastor is a tough job and he needs your love, support, prayers, encouragement and willingness to stand up for him when the going gets tough. Thanks for listening. 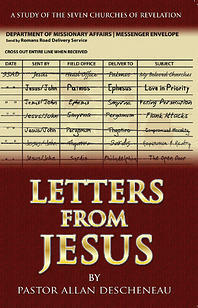 This entry was posted in Special Feature and tagged Christianity, church, emotional sensitivity, Pastor, spirituality.